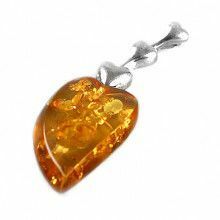 This beautiful and fun pendant made of sterling silver holds little pieces of authentic Baltic amber. The hearts filigree is made up of many stylized hearts in various sizes, allowing the perfect amount of seethrough-ness. 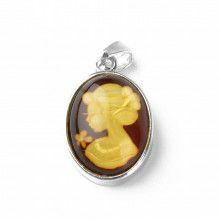 The mult-colored amber stones inside make a quiet rattling when the pendant is shaken. Pendant measures 1" x 7/8"